As featured on the Improvement Service's Innovation Exchange website, Western Isles Council has used PB to engage withcommunities in Uist and Barra around the redesign of the local public bus services. 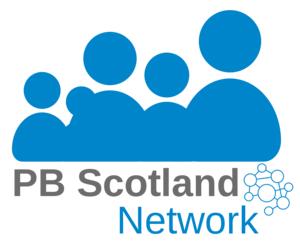 In September 2015, PB Scotland provided an update on how the Council was developing PB. Since then, the Uist and Barra Public Bus Service Redesign project has enabled local people to decide which bus service to commission to provide transport in their areas. Before any voting took place, various engagement events were held, and a questionnaire was distributed, to help get a sense of the communities' priorities. Further events were then held where people voted on different service options and how these would be weighted in the procurement process. The final procurement decisions were made by panels of local people. The new bus contracts started in March 2016 and since then there has been a reported increase in customers. The PB process has also brought benefits in terms of a more responsive service and community members knowing more about how procurement processes work in the public sector. PB Scotland welcomes the fact that Western Isles Council has used participatory budgeting methods in a public service procurement process, and hopes this is a sign that PB will increasingly be used in Scotland to make decisions regarding core local services. Visit the Innovation Exchange website to read the full case study, which contains more learning points as well as contact details.